IUI, which is an acronym that stands for intra uterine insemination, does not offer the greatest chance of multiples. With IUI, in fact, a woman is not more likely to have multiples. However, most women who undergo IUI, also take fertility drugs. Technically, it's the fertility drugs that increase your chance of having multiples. Even though multiples are definitely not two for the price of one, many parents still want to know what their chances are to conceive multiples. If you are new to infertility, IUI is often one of the first courses of treatment that couples go through. Not only can it result in pregnancy, it is the least invasive and has very little moral or ethical dilemmas, such as those presented by other forms of infertility treatments. In addition, IUI, by itself, does not increase the chance of having multiples and therefore presents the least amount of risk to both the baby and the mother. Your chances of having multiples with IUI are the same as for any other couple. In that case, one in 89 couples conceive fraternal twins. 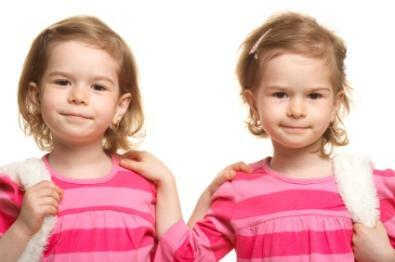 The rate of identical twinning is one in 250 and is not influenced at all by fertility treatments. Most women who do IUI are also on fertility drugs, which can cause the woman to release more than one egg at a time. Obviously, in this case, this gives you the greatest chance of multiples with IUI. Clomid works by stimulating your brain to produce more hormones that in turn causes eggs to ripen and be released every month. Sometimes a mother releases more than one egg at a time and the chances of having multiples while on Clomid are 10%. Gonadotropins, on the other hand, stimulate the ovaries directly and will usually cause a woman to release more than one egg during a given cycle. Anywhere from 10% to 40% of the women who are taking gonadotropins conceive multiples--generally twins. IUI by itself will not increase your chance of multiples. IUI with fertility drugs increases your chance with multiples slightly. However, remember that having multiples carries with it risks to both mother and baby. Although infertility treatments are expensive and trying, purposely attempting to have multiples is not the answer.